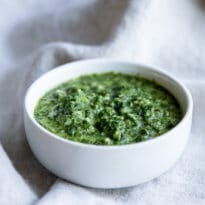 A fresh and simple Cilantro Mint Sauce recipe that is great for appetizers, grilled meats, or vegetables! Ready in minutes. This sauce is quick, easy, fresh, and tasty. It’s all the buzzwords you want in your Recipe Life. 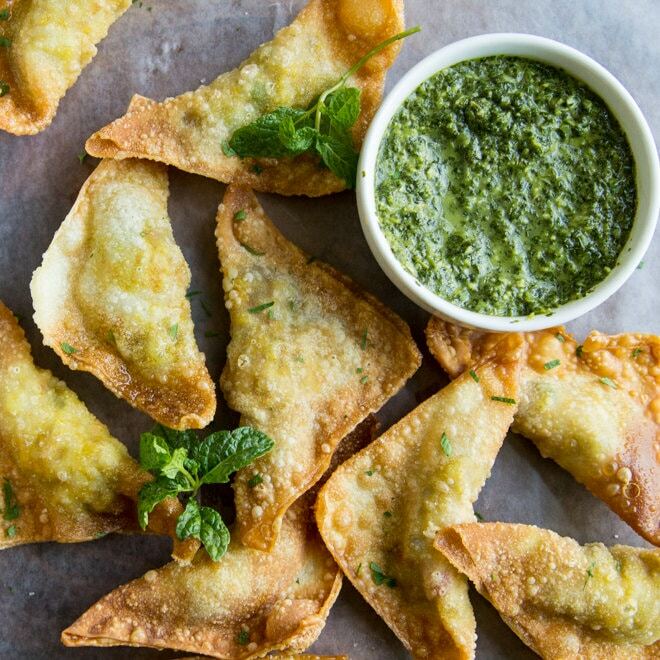 I made this Cilantro Mint Sauce recipe to go along with some pretty fantastic Chicken and Rice Samosas. 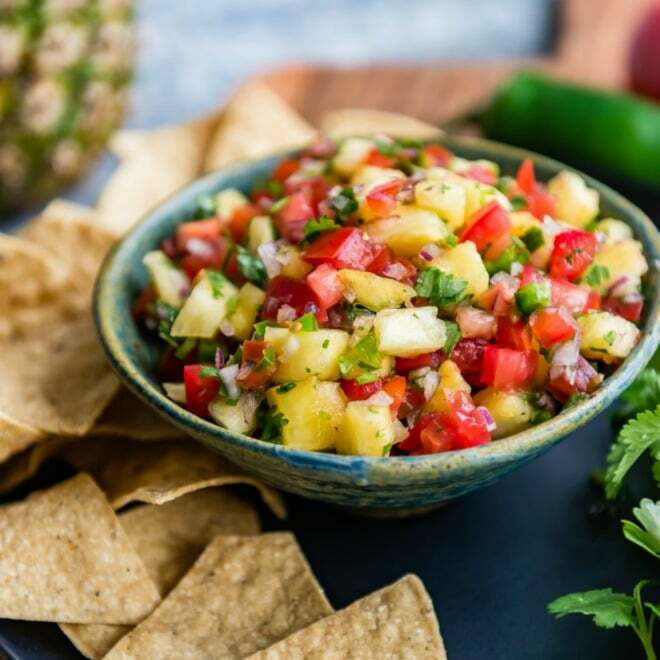 But, once you try it, you might find yourself making it for all sorts of foods that need to be jazzed up. The recipe is really just as easy as throwing the ingredients in a food processing and pushing the button. 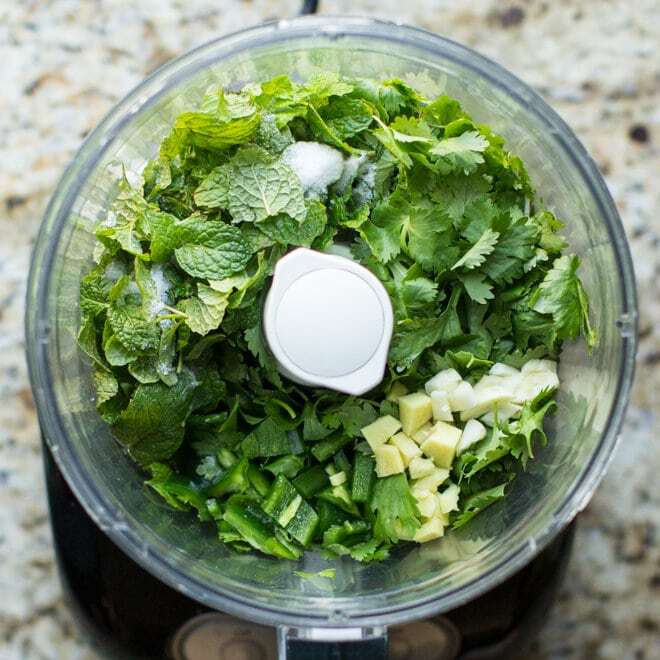 Cilantro, mint, jalapenos, ginger, lime juice, garlic… we’re hitting a lot of good stuff here. Just keep an eye on the consistency. Add a little more water if you want to or use a light hand. To peel ginger, just rub the skin with a spoon. It comes right off! So easy. 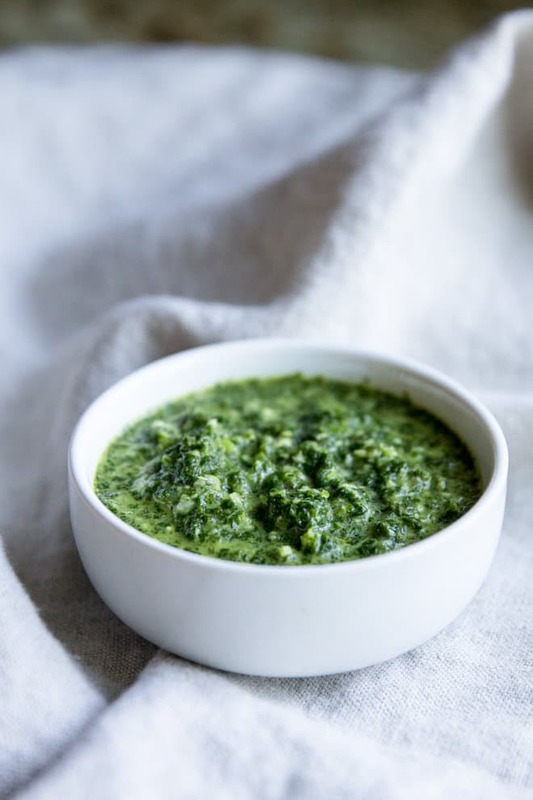 Save this Cilantro Mint Sauce Recipe to your “Appetizers” Pinterest board! Combine all ingredients in a food processor and pureé until smooth. Taste for seasonings and add more salt if desired. Used this with the chicken and rice samosas and was delicious! thank you for the suggestion! This is exactly like the recipe that Rachel Ray posted some years ago.